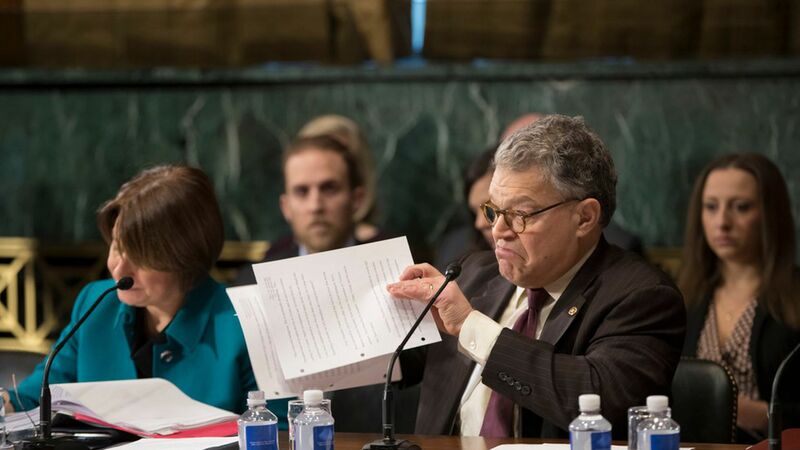 The National Republican Congressional Committee (NRCC) has called on eight Democrats running for House seats around the country to return campaign donations that they received from Sen. Al Franken. This comes after Franken was accused of sexually harassing a broadcaster during a 2006 USO tour. Why it matters: This signals the Republican congressional establishment is trying to make any connections to Franken appear toxic, especially in crucial House races in swing states. "These allegations are disgusting and Democrats who took Senator Franken's campaign money need to take action. Return his donations and do it immediately."